Only deal with the best when it comes to your sailing vessel. Consider coming along for the ride, too. There’s no better way to learn than on-board your own boat with our professional captain and crew. 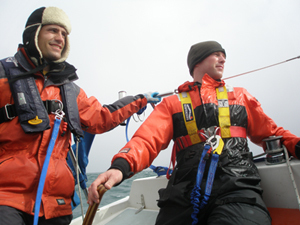 Pacific NW Expeditions offers a complete Sailboat delivery package, serving the entire Pacific coast. Captain Peter Frost commands each delivery and hand-selects a professional crew. Our USCG Masters have logged tens of thousands of off-shore miles with a perfect safety record. Put your trust in good hands. Pacific NW Expeditions gets you there. Thank you for considering Pacific NW Expeditions for your next delivery! Filling out the basic info below will help us provide your vessel with the best service possible. Typical delivery costs average $1,895 per sailing week total, however we provide more specific information with our free quote. If you have any immediate questions, do not hesitate to e-mail www.nwexpeditions@gmail.com, or call us at 907-314-2202.